Another handmade alpaca product designed to help our feathered friends build comfortable homes! 4” grapevine ball filled with alpaca! 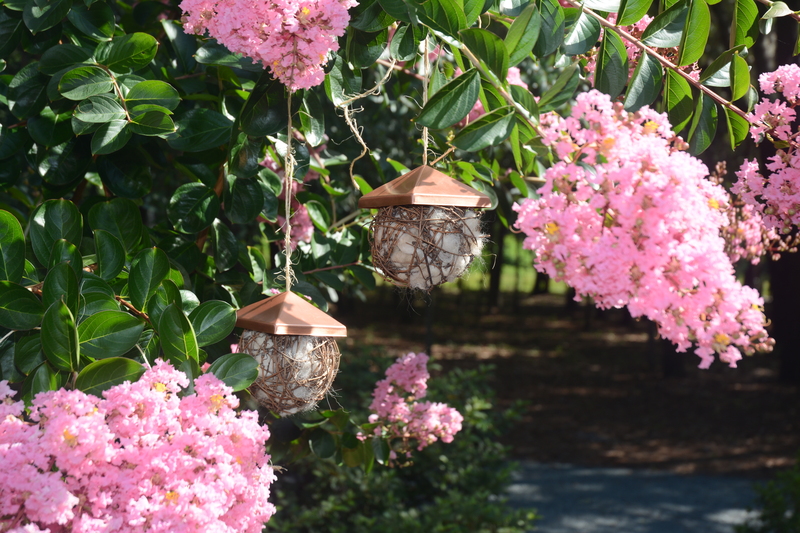 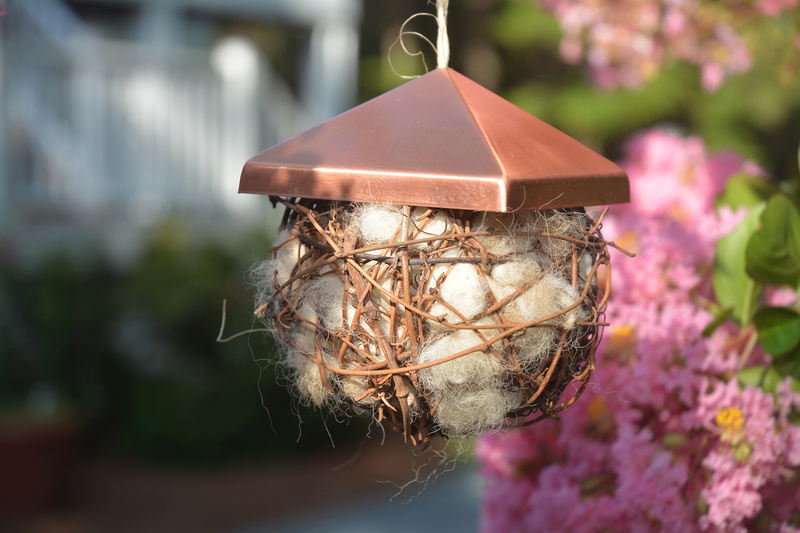 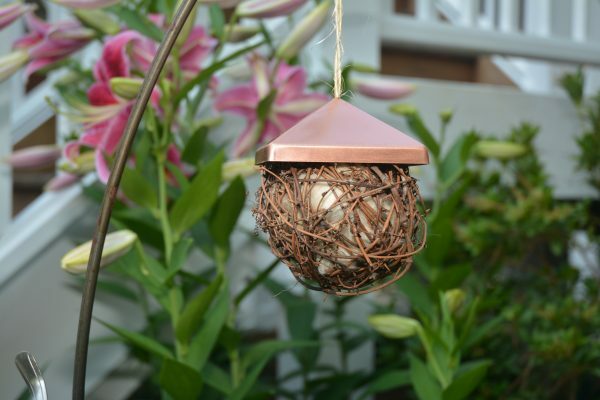 The copper roof protects the fiber from the elements so the Alpaca Nest Assist stays attractive in your garden. 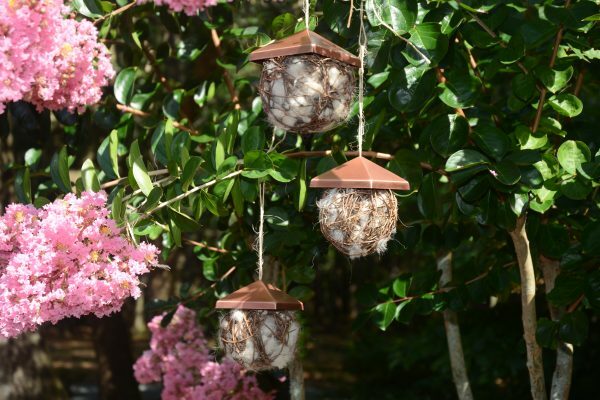 Replacement fleece is also included!